Bolted connections should be reliable, that is why important bolted connections are tensioned (bolt tensioning). Once this has been done, the connections are extremely strong and stable. But more is required to keep these connections in an optimal condition. Bolted connections exposed to weather and wind, mechanical damage or corrosive substances should be protected to ensure that the connection lasts for a long time and would not impede with future maintenance works. Bolted connections are protected with thread protectors, which you can find at Laco, manufactured by Boltight and made from (stainless) steel, aluminium or plastic. 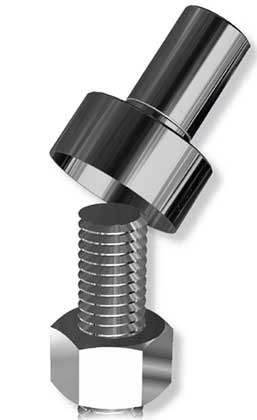 Tentec thread protectors are placed on the part of the bolt and nut that stick out and help to secure the reliability of the connection. There are also thread protection caps for bolts (only); in most cases it is wise to protect the combination of bolt and nut with thread protectors. If you are going to buy thread protectors, you should buy these at a supplier who offers you professional advice. Laco has advisors who know everything about bolted connections and tools. 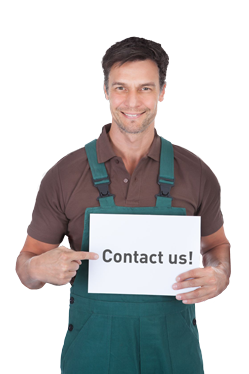 At Laco, you will get helpful advice and you can find the range and flexible service you are looking for. WHICH TYPES OF THREAD PROTECTORS CAN YOU FIND AT LACO? The Tentec thread protectors that Laco supplies are standard made of steel. Stainless steel or aluminium Tentec thread protectors can also be supplied on request. Laco can also deliver Tentec plastic thread protectors. The wrench widths that Laco can deliver vary between M20 and M100. Other (deviating) wrench widths can be manufactured in accordance with the client’s specifications.